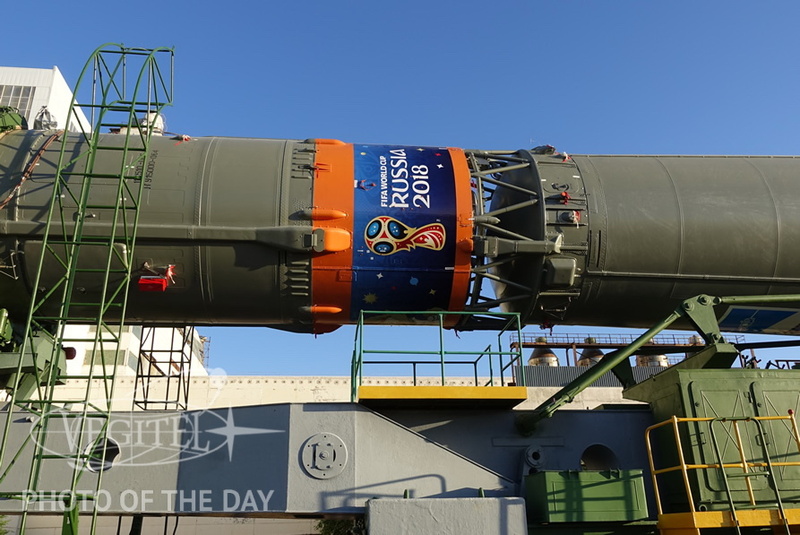 The launch vehicle with the Soyuz MS-09 spacecraft is decorated with the emblem of the World Cup 2018, which opens today in Moscow. 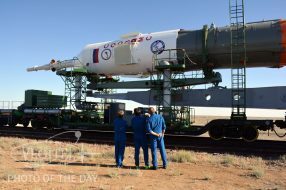 Soyuz MS-09 with the international crew was launched last week. The photo was taken by the participant of our exclusive tour to the Baikonur cosmodrome. Backup crew of spacecraft «Soyuz-09 MS» observe transportation of the rocket to the launch pad. 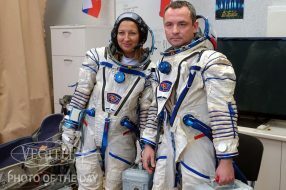 This time, backup crew members was Oleg Kononenko, David Saint-Jacques and Anne McClain — future crew of the Soyuz MS-11 (launch preliminary scheduled for December 20th). 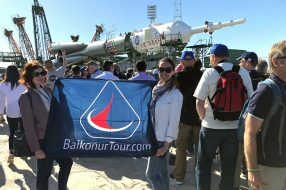 The photo was taken by the participant of our unique tour to the Baikonur cosmodrome — hurry up, we are forming the group for the July and October launches! On these sunny days a group of our tourists at the Baikonur cosmodrome attending final preparations of the Soyuz MS-09 spacecraft and crew. 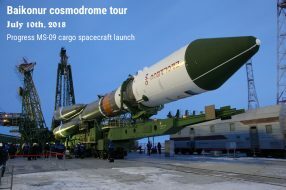 The launch is scheduled for tomorrow at 14:12 Moscow time. 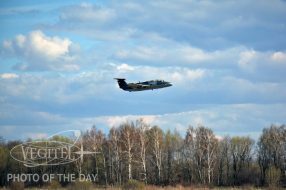 Passage at an extremely low altitude is only one of the possible elements of the flight program for L-39 and L-29 combat training aircrafts . Call us right now and book your dream flight! We fly in the Moscow region, every day! 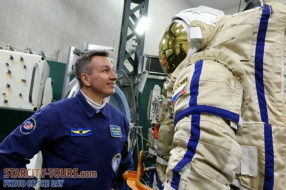 Participants of our program in the Cosmonaut Training Center wearing Sokol training spacesuits. 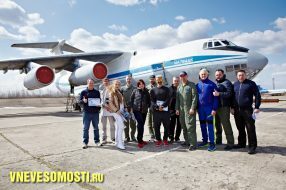 Participants of the recent zero-gravity flight, arranged by our company, posing in front of the IL-76MDK airplane at Cosmonaut Training Center. 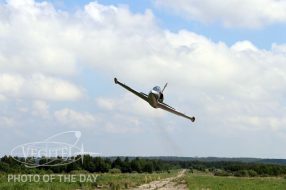 Our next sky conqueror goes on a stunning flight on the L-39 Albatros training jet. Book the date of your flight, choose the program and visit the airfield on any day! 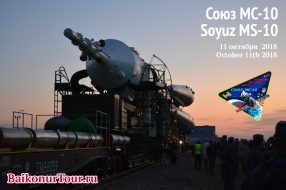 We invite all fans of space exploration to take part in our five-day tour to the Baikonur cosmodrome this October, with the launch of Soyuz MS-10 spacecraft. The preliminary launch date is October 11th, 2018. Pair sync aerobatics is one of the most popular flight program on L-29 and L-39 jet trainers. During this program two guests participate in the program at the same time. 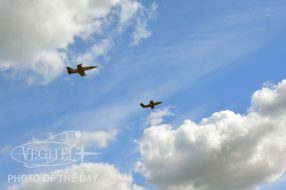 Two planes complete a number of synchronized aerobatic maneuvers watching each other from a very close distance. 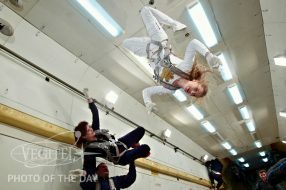 In a state of Zero Gravity onboard the IL-76MDK plane, everyone is able to perform amazing tricks that are impossible under normal conditions. It is finally warm and sunny in Moscow! Any ideas how to spend the upcoming holidays? 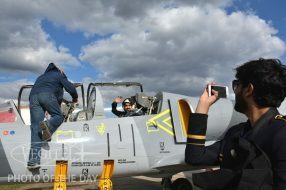 There is nothing better to celebrate Great Victory Day than trying to be real jet trainer pilot! 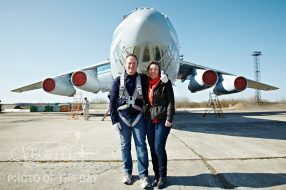 Our guests, who took part in the recent zero-gravity flight, posing in front of a huge IL-76MDK airplane assigned to the Cosmonaut Training Center. 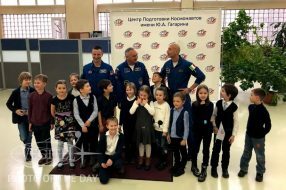 Young participants of our afterschool program in the Star City met with members of the international crew of astronauts who are preparing for one of the nearest space launches. 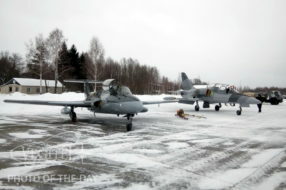 Jet trainers L-29 Delfin and L-39 Albatros are awaiting their pilots. Flying jets is a great adventure of spring that doesn’t require long clearance procedures and exhausting formalities. Just book a flight date and come to the airfield. Unique one day programs for one or for two, group flights and many other options — no way you can fail to be moved.